The Korean nation uses their own unique alphabet called Hangul. 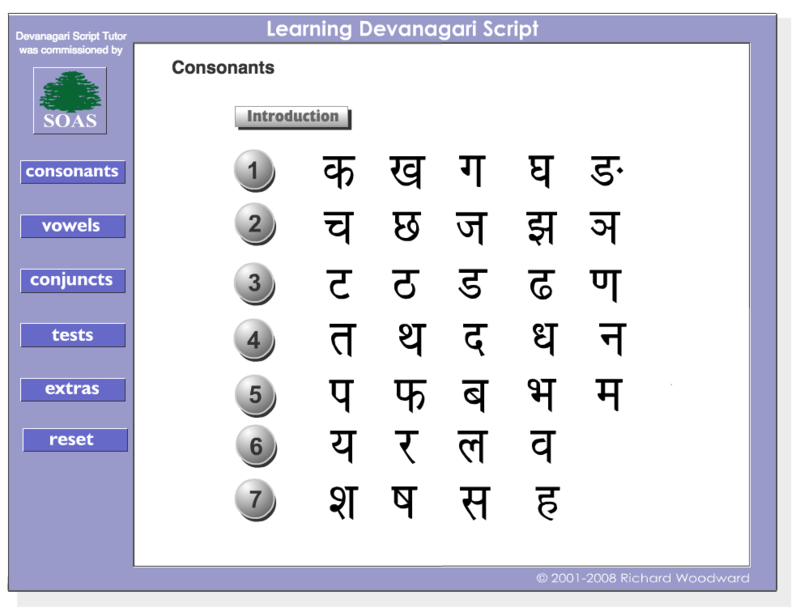 It is considered to be one of the clearest and easiest-to-understand alphabets for non-native speakers in the world and has earned praise from language experts. This is in part because it is a relatively recently-designed alphabet. Hangul was created under King Sejong in 1446 during the Chosun Dynasty. Highly respected for his benevolent disposition and diligence, King Sejong was also a passionate scholar who pursued knowledge in all fields of study. Chinese script was used by the intelligentsia of the country, but it could not fully express the words and meaning of Korean spoken language. Therefore, common people had no way of submitting petitions to the authorities, other than by traveling to speak in person, and they had no way to record for posterity the agricultural wisdom and knowledge they had gained through years of experience. King Sejong envisioned a set of letters that was "uniquely Korean" and easily learnable, rendering it accessible and usable for the common people. When first proclaimed Hangul had 28 letters in all, of which only 24 are in use today. Hangul has been at the root of the Korean culture, helping to preserve its national identity and independence. It is not uncommon for non-native speakers to gain a working knowledge of Hangul after one or two hours of intensive studying. In addition, because of its scientific design, Hangul lends itself to easy mechanization and digitization. 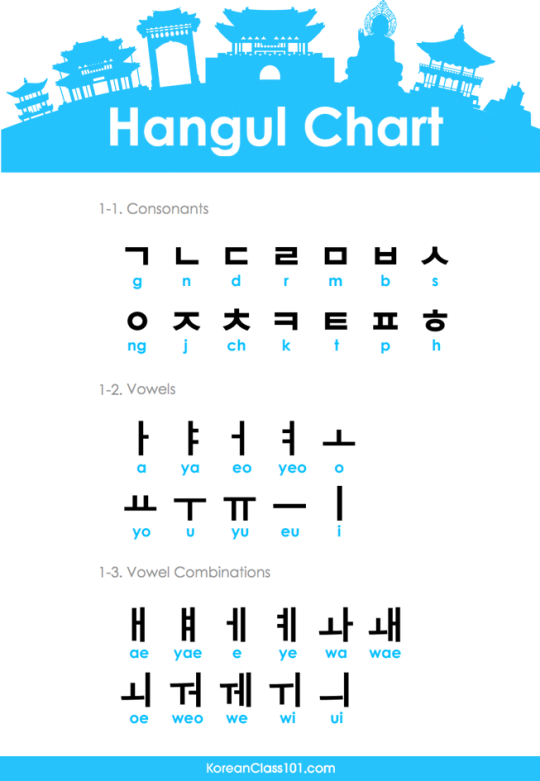 Hangul is written as a series of syllables with up to three letters. Syllables are always constructed beginning with a consonant. Then a vowel follows. The syllable could stop here, or there could be another vowel, or consonant, or both. The syllable begins with the initial consonant on the left or top and the vowel(s) and other consonant(s) follow to the right or bottom, like this:가 where ㄱ "k" is the consonant, and ㅏ "ah" is the vowel. It is pronounced "Kah". 고 where ㄱ "k" is the consonant, and ㅗ "oh" is the vowel. It is pronounced "Koh". Read left to right, sounding out each letter. Sound out the initial consonant and then the following vowel(s), making it flow into the other ending consonant(s), if any. Then move on to the next syllable. Words are separated by spaces, and syllables are right next to each other. 달 where ㄷ "t" is the consonant, and ㅏ "ah" is the vowel, followed by another consonant, ㄹ "l". It is pronounced "Tahl". 돌 where ㄷ "t" is the consonant, and ㅗ "oh" is the vowel, followed by another consonant, ㄹ "l". It is pronounced "Tohl". Consonants can be doubled for emphasis; in the text, they will be written as two identical letters side-by-side and will usually be spoken with more force. ​The Richland School District Two ALERT program for academically gifted students, in association with families, the district and global community, affords each learner unique challenges to inspire the pursuit of highest academic standards by providing rigorous, differentiated curricula that cultivates excellence in leadership and life-long learning. Webpage maintained by the Active Learning Experiences in Resourceful Thinking (ALERT) and Scholarly Pursuits Always Reveal Knowledge (SPARK) classes of Richland School District Two, Columbia, South Carolina. Please direct queries to Mr. Kevin Durden.